Seats in sections 139, 140, 141 and 142 are among some of the best options for children and families at Chase Field. Seats in sections G, H, I and J come highly recommended for impressing a guest at Chase Field. Seats in sections 322, 323, 324 and 325 were hand picked as great places to sit for partying and socializing at Chase Field. These seats were hand-selected at Chase Field for being close to a wide-range of amenities and near the concourse for fewer stairs to climb. Giving you the best straight away views of the field at Chase Field from every level of seating. Fans seated in sections 221-223 will enjoy unlimited ballpark food, including hot dogs, peanuts and popcorns. Pepsi products and water are also included in the price of your ticket. The Diamondbacks dugout is located just in front of Sections N, O, P and Q at Chase Field. "Make sure to bring a glove!" - ★★★★★ - Lots of foul balls are hit this way. Make sure to bring a glove! "Great seats" - ★★★★ - Some people in front would stand and we couldn't see. Which sections are best for a first timer to Chase Field? How many seats in Section 308 Row 1 at Chase Field? How many seats per row in Section 326 at Chase Field? Which sections are best for afternoon shade at Chase Field? 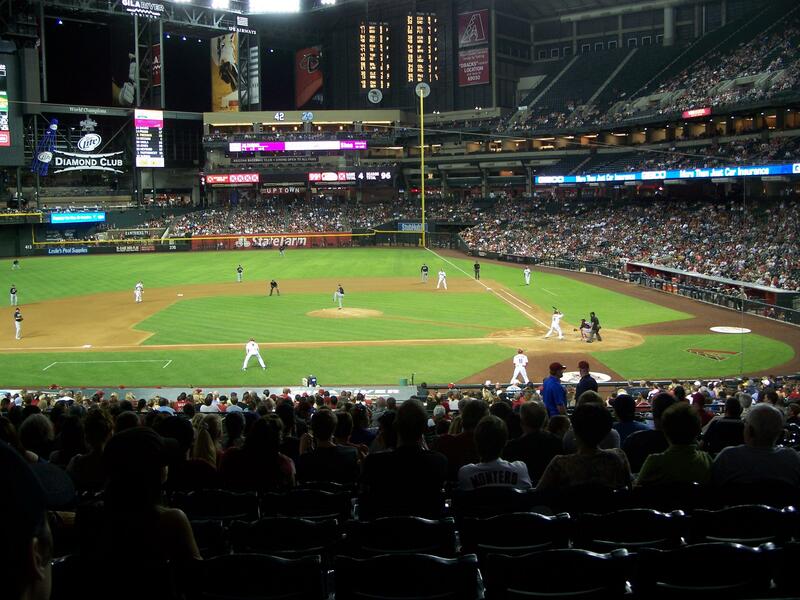 Section 133 at Chase Field: seat 1 - closer to homeplate or outfield? Do the seats have backs and arms in Section 316 at Chase Field?